The studio is located in the Toucan Alley Shoppes near the Kemah Boardwalk. Click Here for a map to the studio. Christie McGrath is among the finest family, maternity and baby photographers in Houston. She creates custom prenatal, pregnancy or maternity portraits; newborn, baby, infant, toddler, children photography; as well as portraits for family, pets and high school seniors. Investing in Christie’s professional maternity photography in Houston will allow you to visually celebrate that beautiful time in your life forever. Christie’s expertise also extends to the areas of custom prenatal, pregnancy or maternity portraits newborn, infant, toddler and children photography, family portraits, high school senior portraits, sports and pet photography. 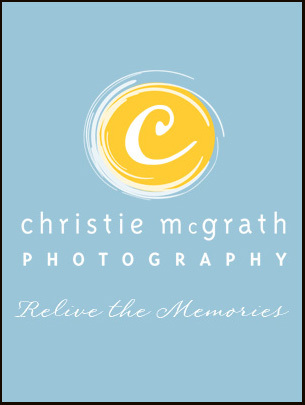 When looking for superior photography services in the Houston, Texas area, we hope you will trust in the years of experience and artistic talent of Christie McGrath Photography. As a proud mother of two, a loving pet owner and a photographer, Christie knows exactly what clients are looking for in their personal photographs and is always excited to deliver. Call today to book a session! Christie McGrath Photography is a professional photography studio located in Kemah, Texas and serves the entire Houston and Galveston area (Clear Lake, League City, Webster, Seabrook, Clear Lake Shores, Pasadena, Friendswood, Dickinson and surrounding areas). We offer on-location photography throughout the Clear Lake area. We also provide commercial and business headshots and event photography. The studio offers both black and white and color portraits, custom collages, albums and fine art canvas. We offer portrait or photo jewelry and custom portrait or photo greeting cards and invitations. We offer maternity and newborn photography plans and packages as well as baby's first year plans and packages.